Twas the week before Christmas, when all thru the show . . .
What? You think we want them to see disembodied heads? I sprang from the hi-fi to see what was the matter. I grabbed my shotgun and a handful of shells. Revealing Jackie Gleason's head falling like a raindrop. Join Lena Horne's in a floating boogaloo. 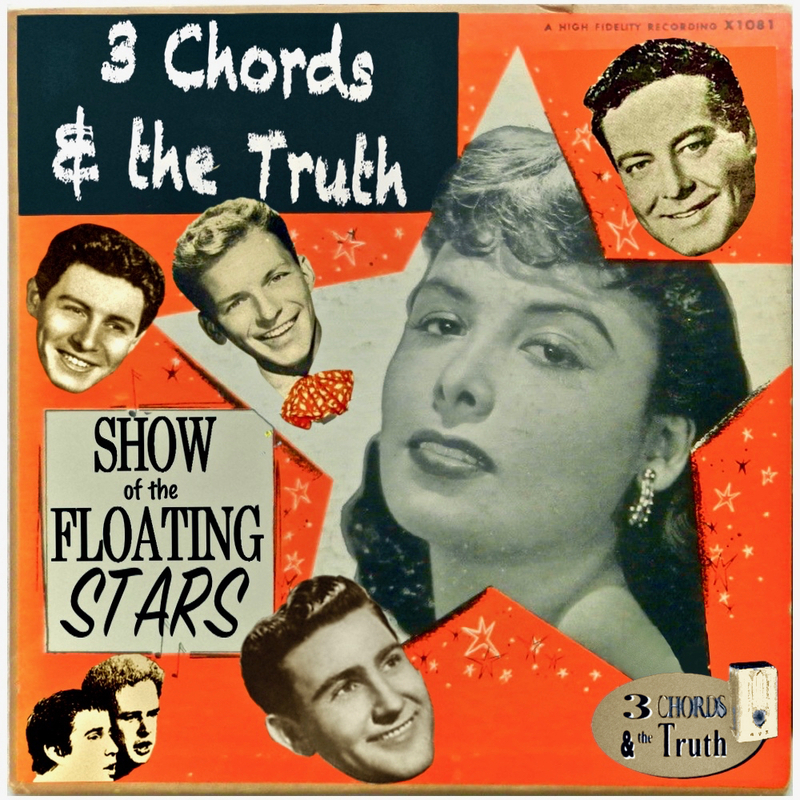 "3 Chords & the Truth!" And I ran to the hi-fi -- it didn't take a sleuth. And the famed floating heads were ready to go! "On! Frankie, on! Jackie, mind your carbuncle! "To the top of the charts! Eschew all your clinkers! "And we need a band -- disembodied heads got no fingers!" I guess you can blame that nail-gun impalement.